Qualcomm's Snapdragon 800 and 820 processors allegedly infringed on Apple's own battery patents. The ongoing legal battle between Apple and Qualcomm continues as the Cupertino-based company has accused the chipmaker of patent infringement regarding its Snapdragon mobile chips in a recently filed countersuit. Early this year Qulacomm accused Apple of infringing on its patents related to improving battery life on mobile devices. Apple denied the claims that it had infringed on the patents and alleged that they were invalid. Now Apple has revised its answers to Qualcomm's complain to reflect its own accusations that the chipmaker infringed on at least eight of its own battery life patents. The patents in question save battery life by ensuring that each part of a mobile processor draws only the minimum power it needs by turning off the parts that are not needed which improves a smartphone's sleep and wake functionality. 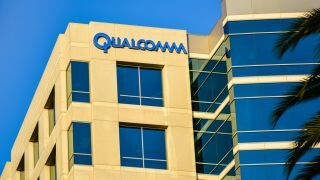 In its recent filing, Apple claims that Qualcomm's Snapdragon 800 and 820 processors used in a number of popular handsets including Google's Pixel phones and Samsung's S7 and S7 edge, infringe on its patents. Unfortunately, the legal between the two companies doesn't look to be ending anytime soon.